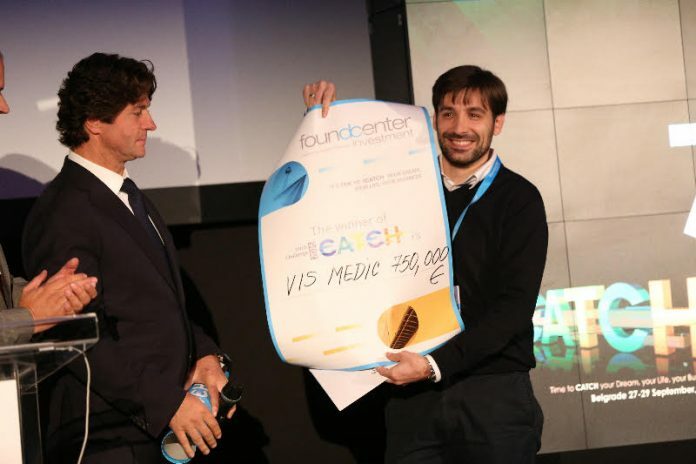 VisMedic, the health tech startup from Serbia won big at Catch 2016 Pitch challenge in Belgrade last month. 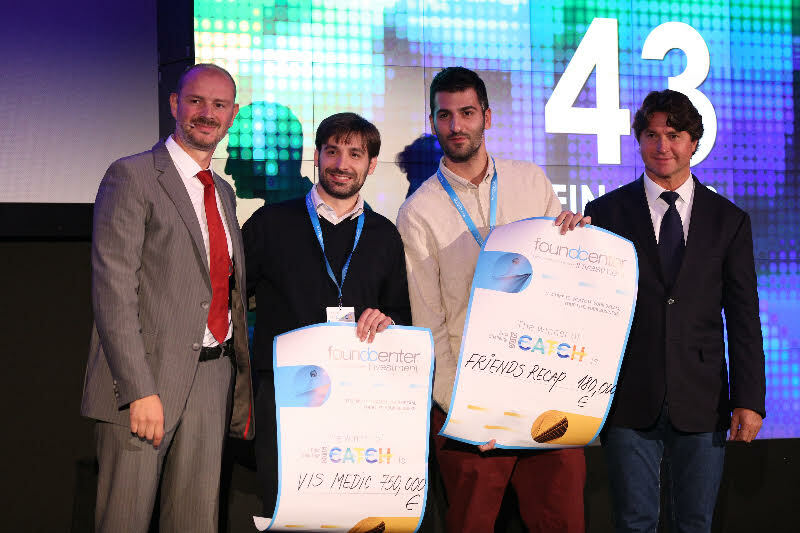 The startup specializing in health technology was one of the 3 projects chosen for investment by Foundcenter and received an investment of 750.000 euros. 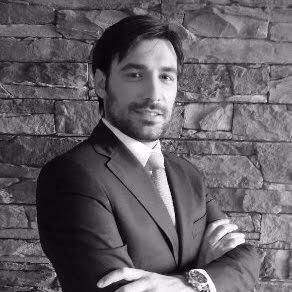 SuperFounders had the pleasure to talk to Jovan Paunovic, the CEO and Chairman of the board of VisMedic about the motives for creating the startup, the experiences at Catch 2016, and the project he created. 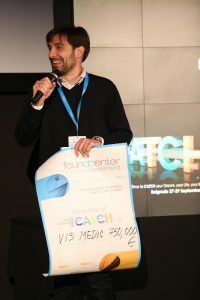 Mr. Paunovic, thank you for the opportunity to talk to you briefly after Catch 2016 Pitch challenge in Belgrade and congratulations on winning 750.000 euros investment at Catch 2016. 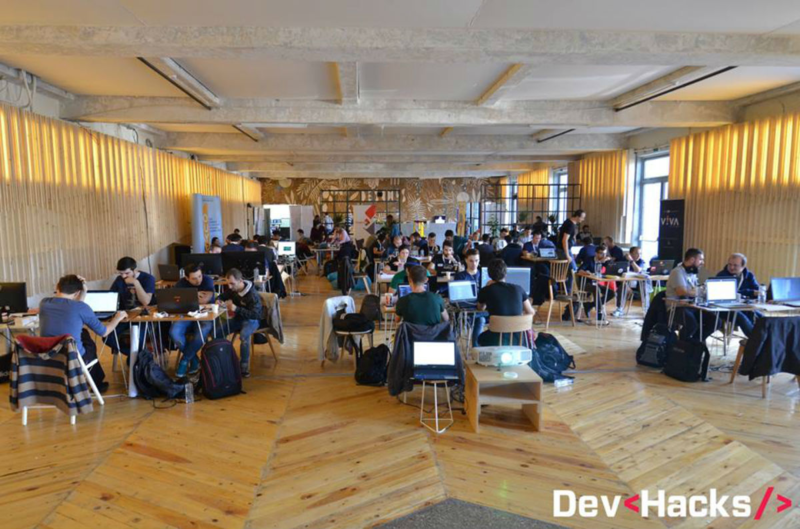 What this investment meant for you as a startup developer, and could you tell us more about the Catch 2016 event itself? What was your experience at the pitch challenge during those 3 days? This investment represents a very important milestone in our development process. Such accolades are valuable as recognition of our great efforts to do something big and meaningful, thus it gives a great boost to the whole team. I’m not talking only financially, but rather ideologically and emotionally. Team members are able to identify themselves with the project in full. On the other hand, the financial resources will allow us to expand our team and invest in certain activities we were not able to invest into before – aggressive marketing and new key hires for instance. 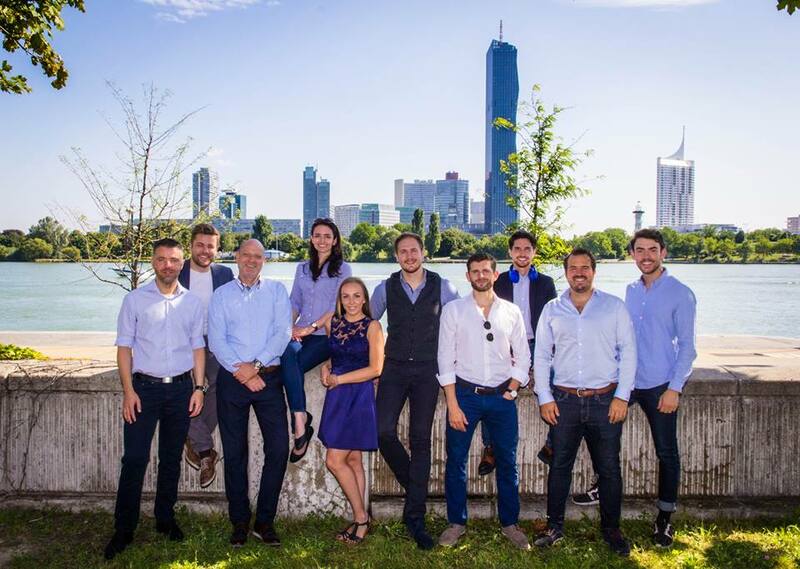 The Catch event was organized by German investors gathered around Foundcenter Investment fund. This is just essentially, what differentiates it from other events of similar sorts. There are other great conferences out there however, they mostly bring investors to share their experience and knowledge from other startup ecosystems, instead of actually investing in this region. While sharing experiences and knowledge is of great value, so is access to actual funding, if not greater. 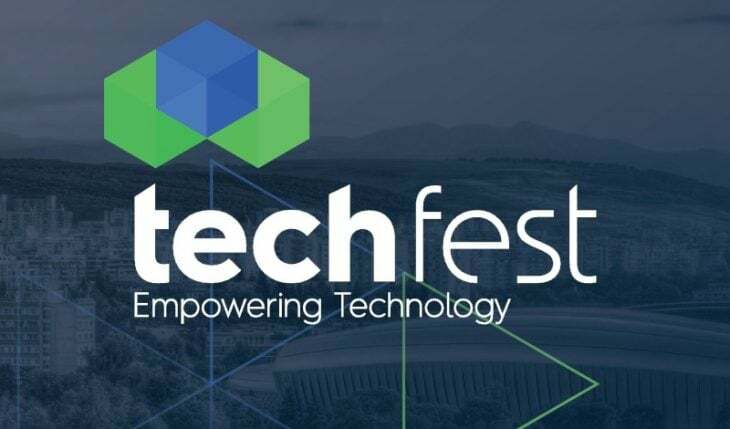 I’m not saying other conferences did a less good job, on the contrary, their work has raised the bar of the whole ecosystem, but it is really hard to attract investors who are actually willing to write a check to a company from this region. Catch 2016 is the first conference organized directly by investors. Finally, I believe it attracted more than 850 startups and more early stage investments than all other regional events in 2016 combined. Another great thing is that this conference broke yet another record, for the highest startup investment in Serbia so far. 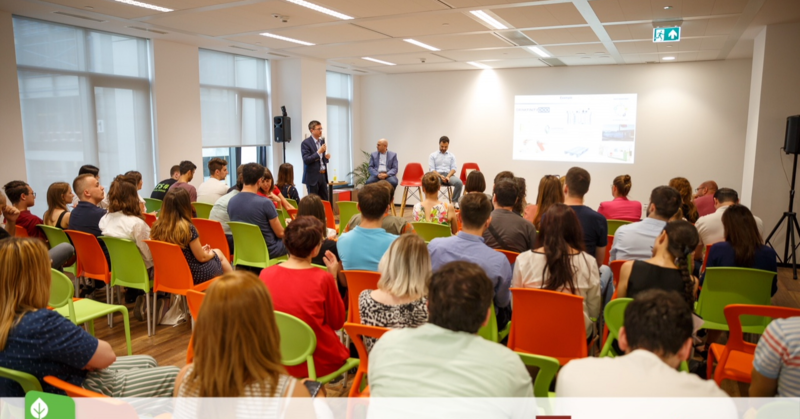 This summer, we’ve heard a breaking news about a Belgrade-based startup raising EUR 700K investment. I can proudly say we raised that threshold yet another step. This fact will definitely benefit the whole ecosystem- attracting, even more investors, paving the way for higher value deals. The challenge was well organized, divided into several panels, with a desirable audience. Feedback is always welcome, however, startups are pitching in order to raise funds, not for theater sake. I have attended some events throughout Europe that seem to forget that. Tell us more about the inception of a Vismedic platform. When was this idea first conceived and what was the contributing factor in its creation? Back in 2002, I started suffering unbearable headaches. I wasn’t able to work, eat or even sleep. Everything around me was just a blur. Looking for help, I started bouncing around all sorts of doctors, dentists, hospitals… And after thousands of hours spent in packed and contaminated waiting rooms, I was left with a pile of confusing, unexplained and oftentimes contradictory documentation. It was only after six months, six months of agony, and with extensive support of personal and family connections, that I was finally diagnosed with Non-Hodgkin’s lymphoma! A terminal type of cancer. During my treatment, I met many friends who had faced exactly the same problems as I did – not knowing which doctor to turn to, who the competent doctors are, hard access to those doctors, long waiting lines, etc. Their battle was simply too long and exhausting, and they lost it. This is basically how, and why VisMedic was founded, to facilitate access to high quality, yet affordable medical care to anyone, anywhere. Besides applying telemedicine practice in the USA and Great Britain with great success (and now in Serbia), what are the other countries in which this type of medical examination has been introduced so far? We understood that negotiations were made to introduce Vismedic in Slovenia, but what about South-Eastern Balkan? The USA is definitely the cradle of this sort of telemedicine – video visits. For a couple of years now it’s spearheading its wide adoption from both healthcare providers’ and patients’ side, as well as payor’s (insurance). We’re seeing great growth in the number of consultations held, and development of the whole market in general. Electronic prescriptions and referrals are getting more popular every day too. The UK follows to some extent, but the rest of the world is still lagging behind heavily. 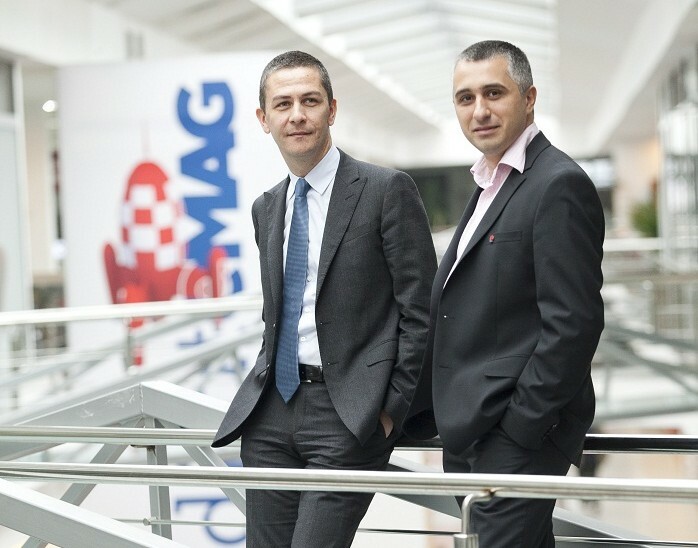 In SEE, VisMedic is currently available in former Yugoslavia only and is quickly expanding its network of doctors and insurance companies. Now, we have intentions of spreading to other EU markets, as well as The Middle East and Russia. We will do that pretty soon. I hope to have the same pleasure to give you an interview once we do. What’s the cost of a Vismedic platform right now? For instance, if one medical facility is considering to buy the platform for its practice, how much will it cost for that facility? VisMedic is FREE for healthcare institutions. Yes, you read that well! Even though we bring a significant and valuable innovation to their table, as well as optimize their operations and increase revenues, we have adopted such business model that allows us to offer our platform free of charge. Our business model allows us to monetize elsewhere. With a business model like this, we have to carefully select healthcare providers we partner with. We choose only the top institutions, with a strong reputation and high patient satisfaction. 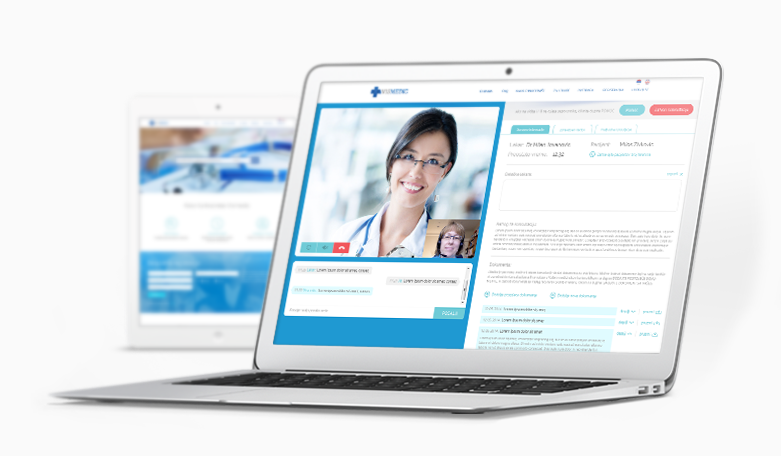 Let’s discuss the doctor/patient virtual consultations via Vismedic. What basic tech equipment is needed in order to have a successful on-line consultation on both sides? The whole idea is to use ubiquitous, readily available technology. Everything a user needs, being a doctor or a patient, is a decent broadband internet connection (3G is fine), and a device with a camera and microphone – desktop, laptop or tablet computer, or a smartphone. Can you walk us through one particular online consultation? How long does one particular consultation last, what kind of patients is best suited for and what are the procedures about reservations/cancellations of appointments via Vismedic? It is very simple. A patient comes to our website and searches the doctor database. Search can by done by doctor’s specialty, subspecialty, name and surname, medical institution, etc. They obtain results and can view every doctor’s profile to see how experienced the doctor is. They choose a doctor they deem best for their problem and book one of the free timeslots or request one at their own convenience. 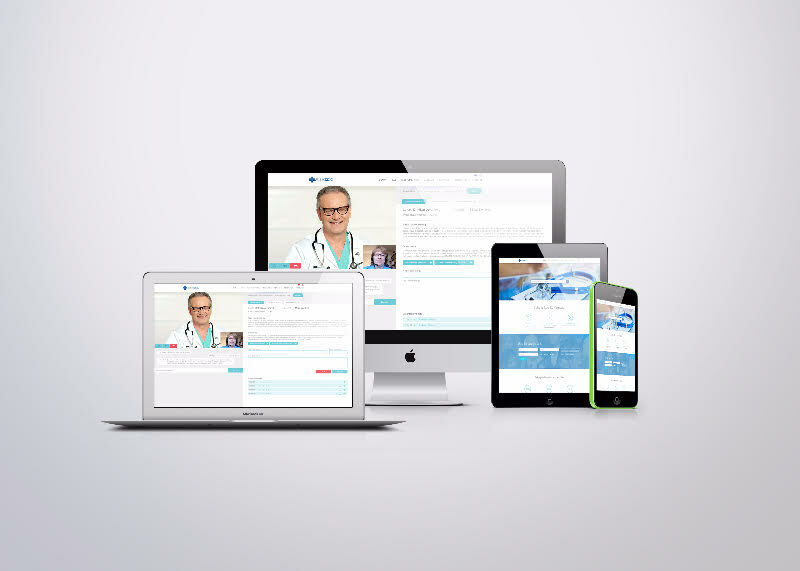 They are required to explain the ailment and symptoms and may attach medical documentation that is automatically stored in their FREE personal health record on a VisMedic platform. Obviously, users need to register before booking a consultation. At the scheduled time, the doctor will await prepared in the virtual office, having already reviewed the case and attached documentation. Now the patient has full 20 minutes of undivided doctor’s attention and can ask any and all questions. Mental health consultations last longer, 60 minutes. Finally, the patient obtains a written report, which is automatically stored in their VisMedic electronic health record, and simultaneously delivered to their e-mail address. With the report, the patient can visit another doctor or do further diagnostics. VisMedic is certainly working towards enabling e-prescriptions and e-referrals. However, that’s not only up to us. It is rather a much more complex issue of government regulations and policies, as well as an adoption of a digital signature, digital health cards, and other prerequisites. Telemedicine is still at its inception and it requires defining good practices and regulations to be followed. We are definitely looking forward to contributing to this endeavor, collaborating with governments and regulatory bodies as one of the pioneers in this sector. How can Vismedic assure the protection and update of personal data of their clients? The biggest challenges telemedicine is facing are security and privacy, which are of paramount importance. That’s why VisMedic telemedicine platform is compliant with HIPAA and HITECH regulations, which are the highest US standards for a strong protection of sensitive patients data. It is very important to understand that the US is practically spearheading telemedicine development and adoption, and those regulations will use as reference points in other jurisdictions worldwide that are yet to be regulated. In addition, we naturally comply with all local regulations too. Furthermore, VisMedic has maximum data security with secure video communication, 256-bit encryption, and maximum security of financial transactions guaranteed by most renowned global processing companies and certificate authorities. What are the payment methods for the services via Vismedic, and what % of the income is reserved for the doctors? Vismedic accepts all major payment cards, as well as PayPal payments. Our business model is a pay per transaction. Doctors earn extra income for each consultation provided. Consultation fees are determined based on the price list of the partner healthcare institution through which the doctor is registered on the platform. Each consultation block is 20 minutes maximum (60 for mental health consultations), although our research shows that most of them are 10-12 minutes each. Doctors earn 50% of the consultation fee, for consultations which are concluded out of their work time – as a by work. The rest of the income is a margin for VisMedic and covers all the business costs. Doctor’s fee from consultations concluded during their work time is defined by direct arrangement with the health institution where the doctor is employed and may vary from institution to institution. What are the benefits of telemedicine practice for the patient and for the medical practitioner in the daily practice? From patient’s perspective, they now have a single place to look into for a medical advice. Kind of a one stop shop for a doctor or medical advice if you like. Most importantly, they get a medical advice from a licensed professional, not a dubious or general overview on a subject, that may be of fatal consequence. Furthermore, patients are now able to choose a doctor they would like to consult, from an already preselected list of top rated and esteemed doctors. They do not need to ask around for recommendations from friends and leverage on their networks just to get to the doctor they need. Finally, they save TIME which is of vital importance when we talk about healthcare and money of course. Technology and business model we use allow us to discount in person visits as much as 40%. So same doctor, lower price. 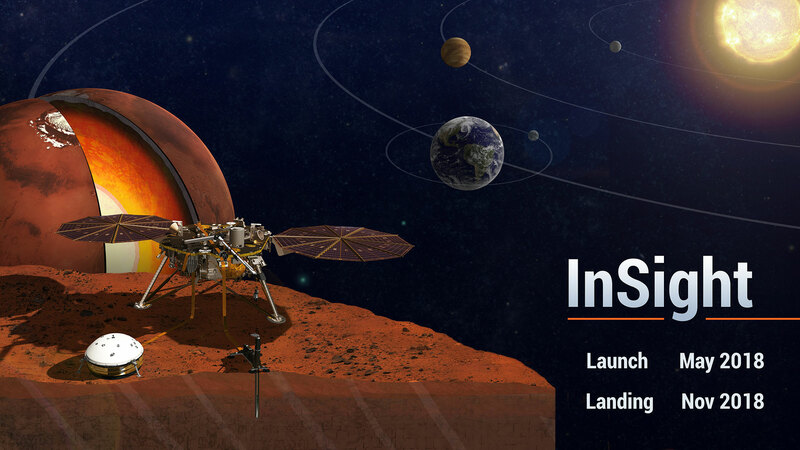 On the other hand, professionals now have a more convenient and easier way for moonlighting from their homes, or any other place, without stressing commuting. They finally can afford more leisure time: to go for a vacation with their families, go to a summer house, or fishing with friends, while setting aside only an hour or two per day, to pay for that vacation. On top of that, VisMedic video consultations offer better per hour compensations than ordinary additional work. They also build their patient base globally and enhance their reputation by participating in latest medical innovation projects.